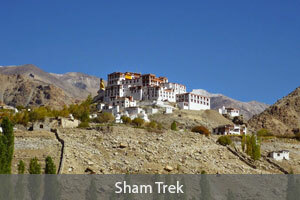 Enjoy a scenic trek in the Indian Himalayas in the grand Himalayan tradition. Enjoying a scenic trek in the Indian Himalayas in the grand Himalayan tradition. 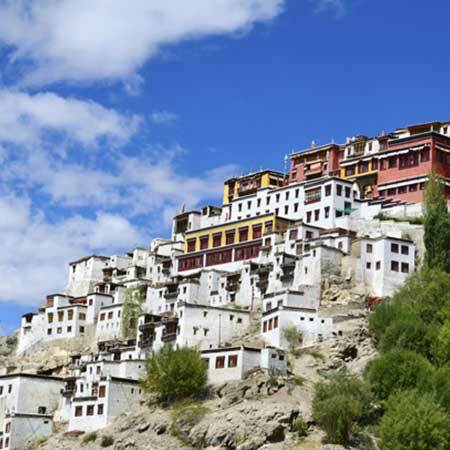 A glimpse into the lives of the Tibetan Buddhist culture of Ladakh. Visit to ancient monasteries of the region. Wading through thigh deep river water at few stretches. Drive to the road head at Chiling, which is the starting point of your trek. Chiling is known for the copper work of its artisans, and it is worthwhile visiting the small museum here. Cross over the river via a suspended basket pulley cable system to start your trek. Hike a short way to Skiu (3290m), a picturesque village where you camp for the night. Trek time - 3/4 hrs. Trek to Markha (3750m) on one of the longer days of the trek, crossing a river on the way. 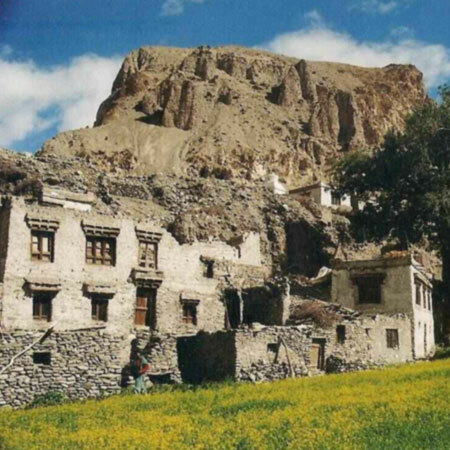 Once you reach Markha village, you may want to visit the ruins of the old palace here. 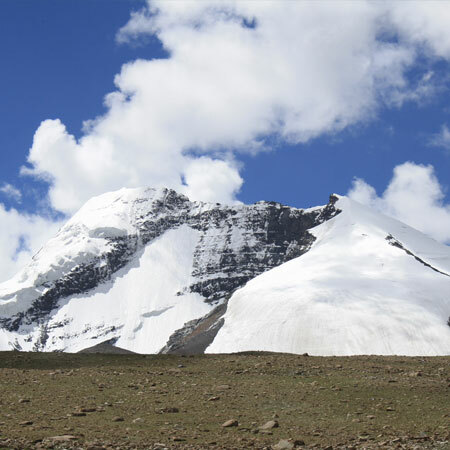 Trek eastwards and upwards to Hangkar (3900m), and the relatively greener landscapes give way to a more austere landscape. Camp at Thungchungtse. Trek upwards to Nimaling (4720m), a pastoral land sloping upwards to the base of the Kang Yatse mountain. The pastures here provide sustenance to an abundant number of yaks, sheep, goats, Dzos and and horses. Rest day at Nimaling. The more adventurous can attempt a climb to the base of the Kang Yatse, else relax in the meadows of Nimaling and interact with the locals. Cross over the highest point of the trek, the Kongmaru La (5216m) on this day. From the top, you get fabulous views of snow capped peaks, and on a clear day, the K2 on the north western horizon. Descend sharply to the Martselang valley, crossing the sulphur springs of Chuskyurmo(4133m). Camp at Chuskyurmo. 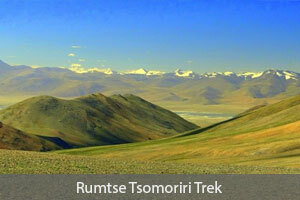 End your trek by trekking down a shorter distance to Sumdo(3880m). 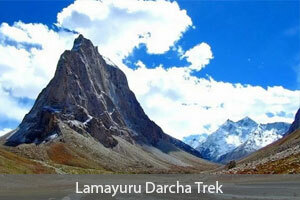 Your vehicle will arrive here to drive you back to Leh, which is at a distance of 2 hours from here. Assisted transfer to the airport for departure. 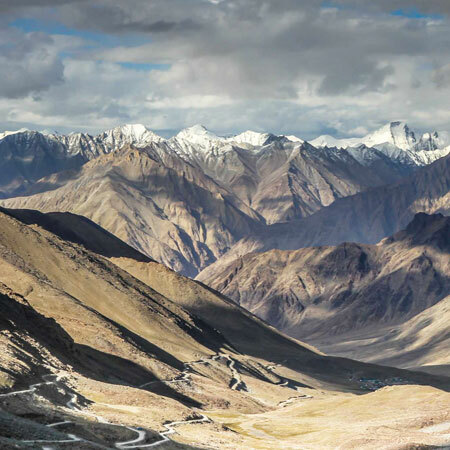 A beautiful trek, the trail follows an old trekking route from Nubra to Leh, over Lasermo La. 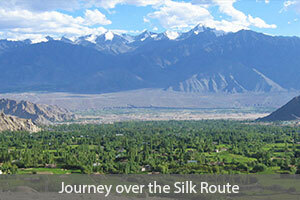 In ancient times, this route was part of the silk route, with traders from all over plying this route with silks and spices.